Woo-Hoo! Have you got great winter deals waiting for you! Winter Deal #1 Can you only getaway for one night? Then book our February Sunday-Thursday Special. Accommodation, breakfast and dinner for two is $200 in a premier room or cottage or $170 in a traditional room. Winter Deal #2 Annual Buckhorn Inn Wine Fest February 18 Look, smell, taste – starting with your basic senses and expanding from there you will learn how to taste wines like the pros in no time! We are offering a special one-night rate which includes the wine tasting experience, breakfast and accommodation at $175 for premier rooms and cottages and $130 for traditional rooms. Winter Deal #3 Two-Night Midweek Discount of 24% Hot Chocolate Special Sunday through Thursday Nights, January through March 17. Two Nights, Two Breakfasts on Two Mornings and Two Dinners on Two Nights. $385 Cottage or Premier Room; $320 Traditional Inn Room. Winter Deal #4 Valentine’s Day We only have two accommodations left on Valendine’s Day, Sunday, February 14. Book any one of them at $195 and get rose petals strewn on your bed! Winter Deal #5 Experience Peace in the Heart of Nature February 26-28, 2015 Here in the beautiful foothills of the Smoky Mountains you will find the perfect environment to learn how to meditate or to refresh your practice. Package Price: The per person cost (sharing) of $220 includes the retreat, two nights’ accommodation, two breakfasts, two dinners, and one lunch. Participants with little or no meditation experience attend for three nights, beginning on Thursday. There is an additional fee of $120 for these participants which includes the additional night’s accommodation, breakfast, dinner and lunch. It is best to call the inn to make reservations: 865 436 4668. We do block out space for the retreat, so accommodation which may looked unavailable actually is. 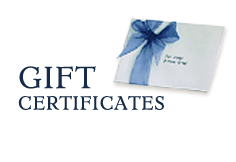 Order your Christmas gift certificate today. Celebrate the onset of spring in the next couple of weeks by taking advantage of these two great deals, one for mid-week stays and the other for the coming weekend. Come to the mountains the last weekend of March–relax, dine well, hunt for wildflowers, read a book by the fire, or book an in-room massage. Faithful Buckhorn guests can take advantage of this great promotion–accommodation in a premier room or cottage on two nights, breakfast both mornings, and dinner on Friday or Saturday–you choose! Can only stay one night? Friday or Saturday with dinner is $195. Valid on new reservations only. Supply limited. Ask for Celebration Promotion. Click here to see availability. Escape to the mountains this week or next and settle into a cottage or premier room for two nights for only $130 per night–our magnificent breakfast included. Prefer a traditional room? Rate is only $95 per night. Valid Sunday through Thursday on new reservations only through April 3. Supply limited! Ask for Retreat Promotion. Click here to see availability. 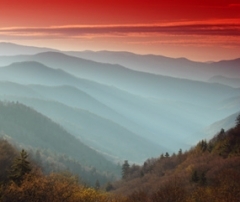 Overlooks along Highway 441 and Clingman’s Dome Road in the National Park are great spots to see fantastic sunrises and sunsets. To find out about our last-minute deal for the weekend of March 11-12, call Debbie right away (865 941 0460) or email [email protected]. Escape to the Mountains this Weekend! Don’t spend the weekend shopping, gardening or thinning out your closet. Get yourselves outdoors in nature’s bounty. Come to the mountains to play. We are seldom able to offer a Saturday night only with dinner, but this weekend we can. The package rate for two people is $245 and includes accommodation, a delicious dinner, a sumptuous breakfast and a complimentary bottle of wine. Call today while supplies last! Phone 865 436 4668 or email [email protected].